Detroit Public TV presented a special Armenian Heritage Night on Monday, March 16, 2015, that featured the broadcast of two important documentaries that commemorated the Armenian Genocide as well as celebrate the music legacy of its survivors. 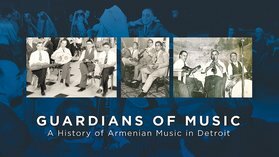 This one-hour film documentary, produced and narrated by Detroit Armenian musician and 2012 Kresge Artist Fellow Ara Topouzian, chronicles the history of generations of local Armenian music masters. Traditional Armenian folk music ranges from ballads that describe centuries of village life to upbeat dance songs performed at weddings, community dances, and picnics. These traditions have been handed down by generations of musicians, as well as survivors of the Armenian Genocide of 1915. The film features visits to metro Detroit locations where Armenian music was once prominent, as well as rare interviews with musicians and nightclub patrons of that era. The broadcast premiere was March 16, 2015 at 9:30 p.m. Reairing Sunday, March 22, at 4:30pm ET. 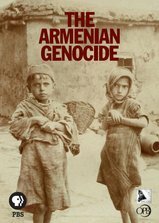 The Armenian Genocide is the story of the more than one million Armenians who died at the hands of the Ottoman Turks in World War I. Produced by Emmy Award-winner Andrew Goldberg. The program is narrated by Julianna Margulies, Ed Harris, Natalie Portman, Laura Linney, Orlando Bloom and others. It includes interviews with Pulitzer Prize-winning author (and current US Ambassador to the UN) Samantha Power, as well as never-before-seen historical footage. Reairing Sunday, March 22, at 6pm ET.